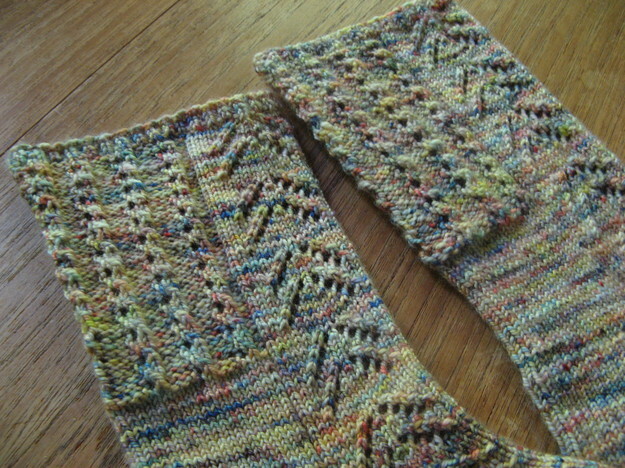 Ellen's Stockings were knit on 0000s with Koigu over a period of about 1 year and a 1/2. 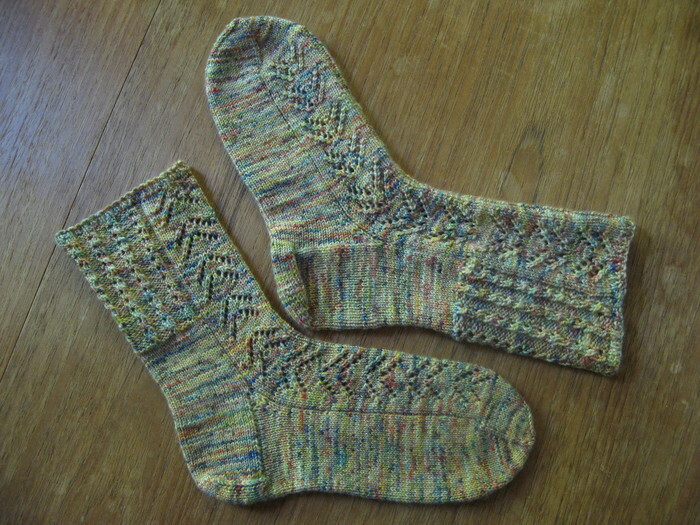 Enough time for the moths to discover the yummy wool. Fortunately, the flecks and color changes make the mending of holes like that almost disappear. They ended up a little snug for my foot. Maybe they will stretch over time, or maybe I could stand parting with them. Nah, I don't think so ;-).